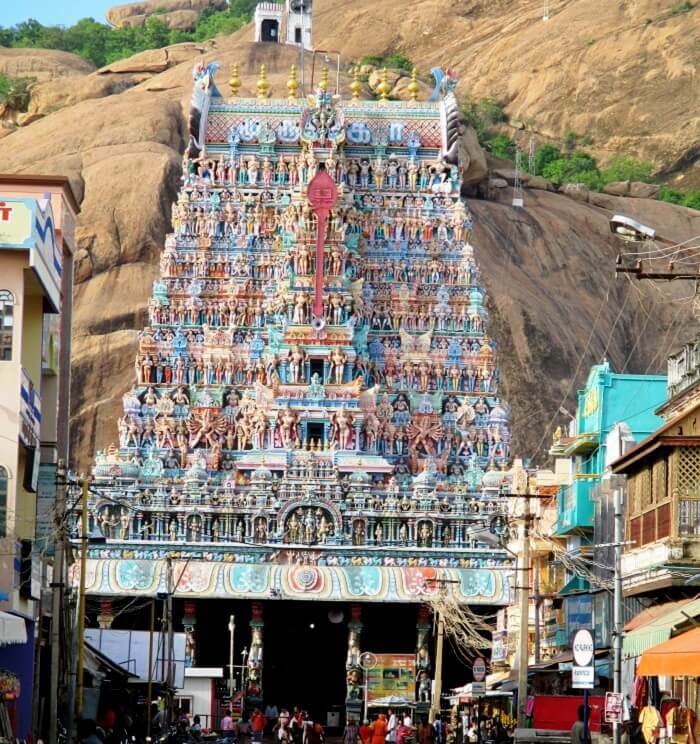 The temple city and pilgrim town of Madurai has captivated visitors for years. 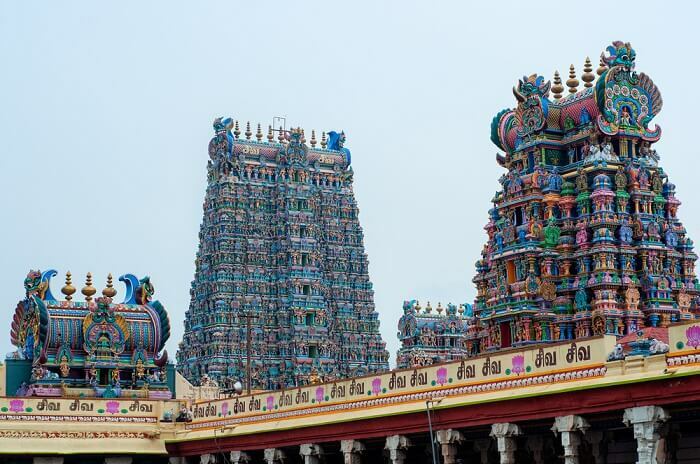 Ancient history and culture permeate every corner and mesmerizing Dravidian style temples dominate the skyline. 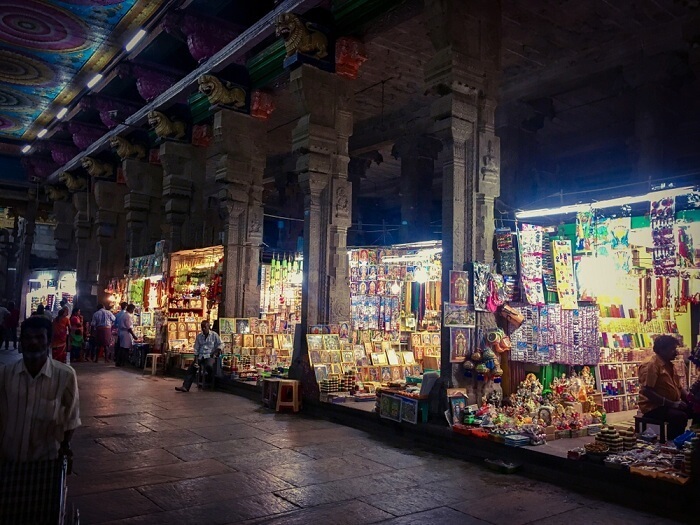 Walking through the streets of bustling places like Pudhu Mandapam, it’s easy to feel like you’ve stepped into the past as vendors call out and encourage you to buy famous Madurai cotton sarees and intricately designed brassware. Yet, the best places to visit in Madurai aren’t confined to temples and shops that look as old as time. 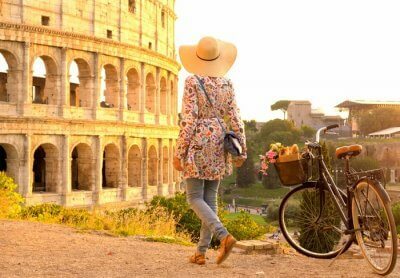 There are many more destinations to explore, each as interesting as the next. 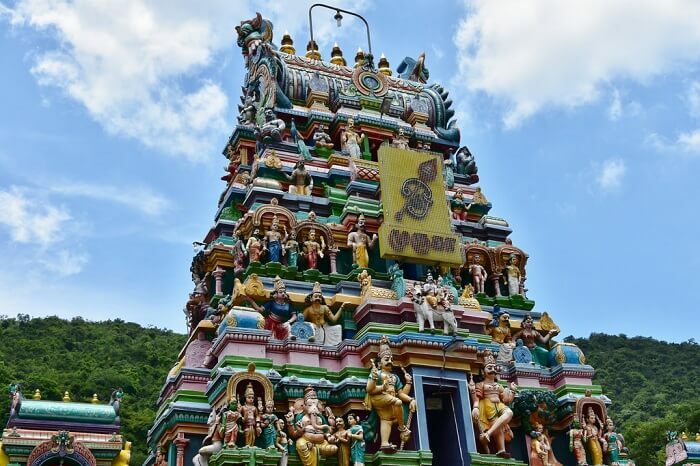 Try covering these 9 popular places to visit in Madurai on your next trip! 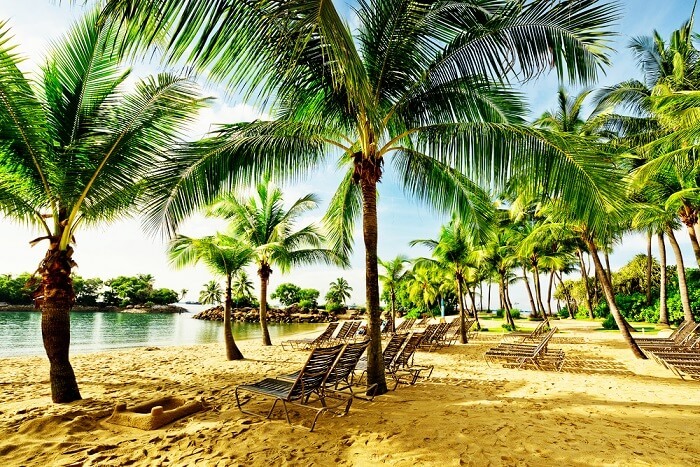 Surely your escape will be magical with these highlights added to your itinerary! The city’s most iconic attraction heads our list of the top Madurai places to visit. 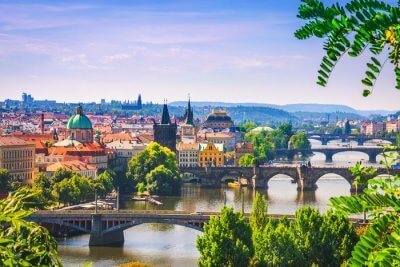 In fact, it should be the first stop on your sightseeing tour. Showcasing some of the best of Dravidian architecture, the complex is in the center of the city and instantly stands out with its towering gopurams. 13 acres of fascinating shrines, a golden lotus sacred pool and mandapas wait to be explored. You can spend hours here and you still won’t be able to explore it all! 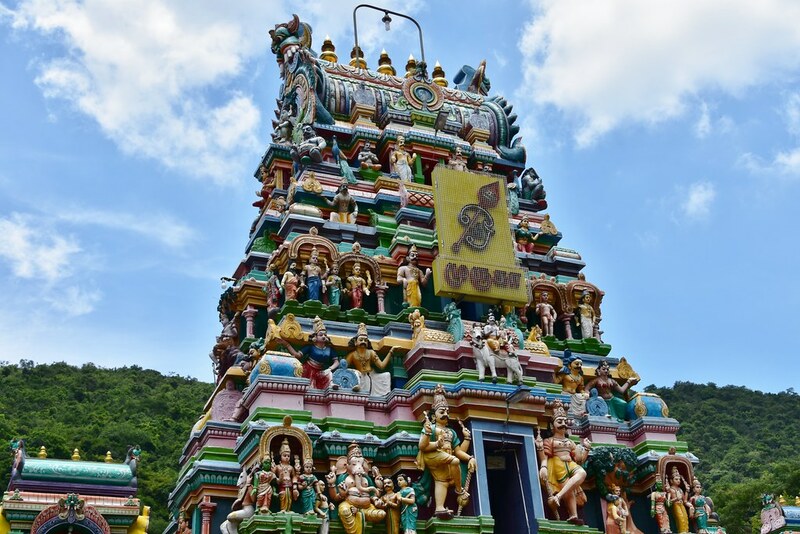 Next on our Madurai tourist places list is Koodal Azhagar Temple, a stunning structure built in dedication to Vishnu. As with temples in the city, it’s constructed in the Dravidian style. A glorious five-tiered rajagopuram dominates and stands over 120 feet tall. 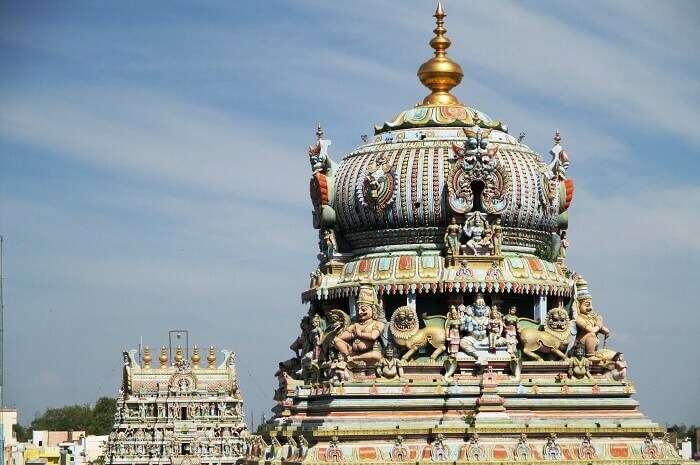 The temple is situated close to the Meenakshi Amman and you can’t afford to miss a visit. Try to plan your trip during the float festival that runs for 10 days. One of the best places to visit in Madurai is the Thirupparamkunram Murugan temple. It’s located in Thiruparankundram, which is close to the city. The ancient structure is breathtaking in architecture particularly because it’s rock-cut. Another distinct feature is the placement of the gods, Shiva and Vishnu, who face each other. Considering Shaivites and Vaishnavites have always been two different groups, this aspect sets the temple apart. Don’t stop your exploration at the temple; take a walk around the complex and visit the nearby pond to see devotees feeding the fish. At first glance, the village of Alagar Kovil resembles any other in Madurai. Yet, if you look closely, you’ll notice that much of the community and lifestyle revolve around the Kallazhagar Temple. Set against a lush hill, the temple rises up dramatically and lures visitors to explore it. Life-size sculptures and colorful carvings offer plenty to see and admire. Unlike other larger temples set closer to the city, Kallazhagar boasts a serenity that adds to its allure. Perhaps it’s the hills or the slow pace of village life – either way, it’s one of the top places to see in Madurai. Take a break from temple-hopping to visit the lively shopping area of Pudhu Mandapam. It’s located near Meenakshi Amman. Set amidst massive stone pillars are vendors selling their wares that consist of everything from wooden toys and fabrics to brassware and stoneware. It really is a shopper’s delight and there are plenty of souvenirs to take back home. Pudhu Mandapam is one of the more popular Madurai tourist places and sees numerous visitors. Be prepared to haggle for the best bargains! A Madurai sightseeing tour should definitely include the Gandhi Memorial Museum. It’s housed in the grand Tamukkam Palace built during the Nayak Dynasty period, dating back to the 17th century. Beautifully landscaped grounds with tall trees and sculptures create a quiet place for reflection and allow you to immerse yourself in history. The museum is divided into three sections and all are worth a visit. The ‘India Fights for Freedom’ gallery features illustrations on panels depicting the freedom movement. The ‘Visual Biography of Gandhi’ gallery, meanwhile, gives visitors a glimpse into his life through photos, manuscripts and selected letters. The last gallery, ‘Relics and Replicas’, exhibits artifacts used by Gandhi. A part of his blood-stained garment worn at the time of his assassination is also displayed although some say it’s a replica. Next on the list of Madurai tourist places is Kazimar Big Mosque, which is believed to be the first mosque in the city. 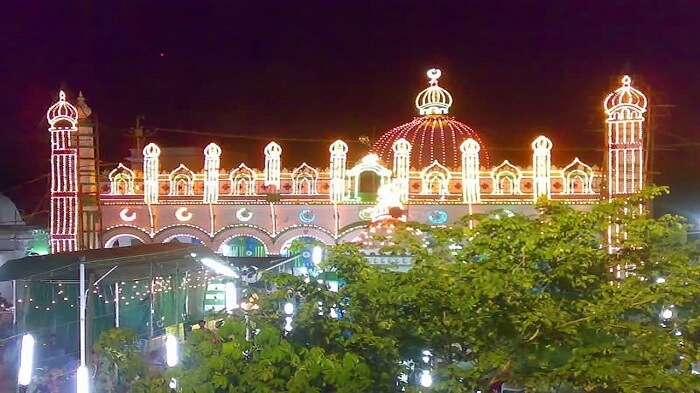 It was founded by Hazarat Kazi Syed Tajuddin who is said to be a direct descendent of Muhammed. The mosque is huge and can accommodate as many as 2,500 people. It’s also known for its maqbara of important hazrats of Madurai. St. Mary’s Cathedral is a wonderful blend of architectural styles that include European and Roman influences. It’s one of the best places to visit in Madurai with its peaceful ambience. Try to go during Christmas to see the striking Nativity scene and illuminations. Although built as a modest chapel in the mid-19th century, it was given the status of a cathedral in the late 1960s. 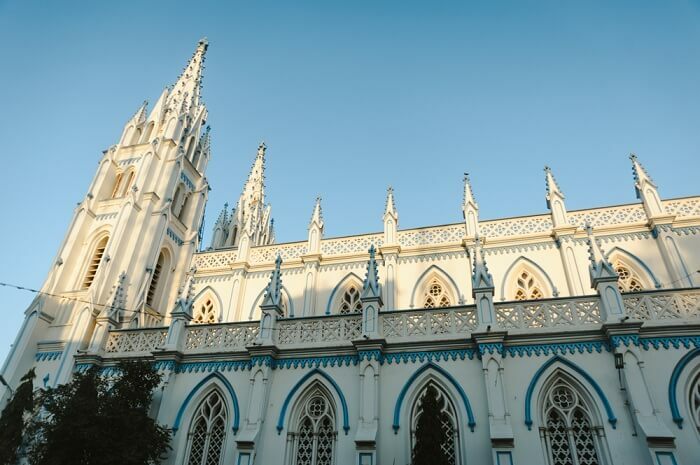 Today, it’s the seat of the Roman Catholic Archdiocese of Madurai. The cathedral is beautiful as a whole but the bell towers and orange vaulting are particularly arresting. Yanaimalai or Elephant Hill is awe-inspiring in its majesty. Shaped like an elephant, it’s one of the top Madurai India points of interest. Its appearance isn’t its only allure, however; it stands out for being home to Shaivite and Vaishnavite temples and Jain sculptures. The latter are situated in caves on the top of the hill while the temples are located at the foothills. 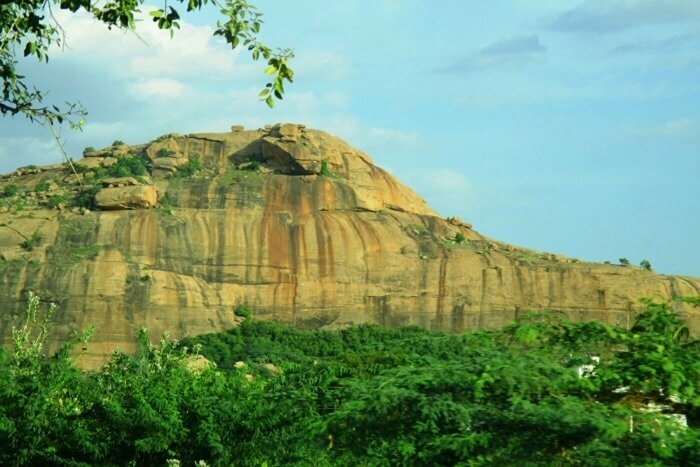 Yanaimalai offers terrific hiking opportunities for travelers eager to get out into nature. Spend a few hours to explore its many attractions. Dating back to 1636, this palace complex is built in the Indo-Saracen style of architecture. In the erstwhile era, the palace had two parts, of which only one passed the test of time – Swargavilasa. 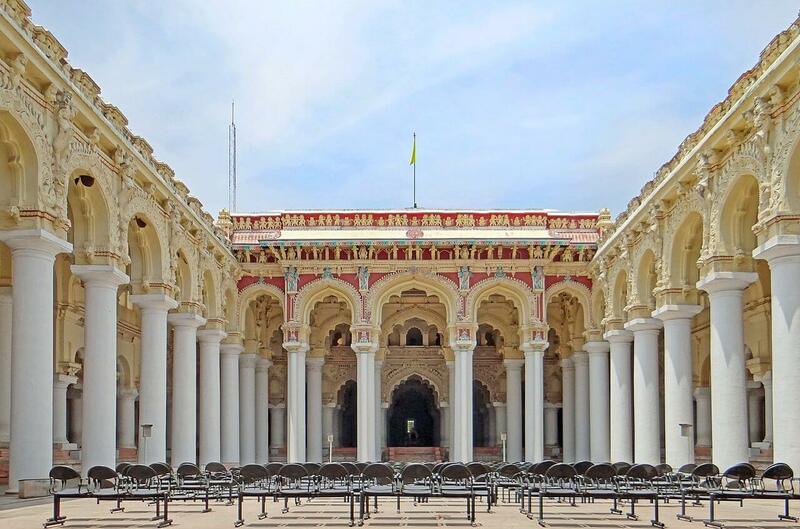 The interior of the palace is decorated in Shaivite and Vaishnavite themes, with The Darbar hall (courtyard) and the Natakasala (dancing hall) being prime attractions of the Thirumalai Nayak Mahal. 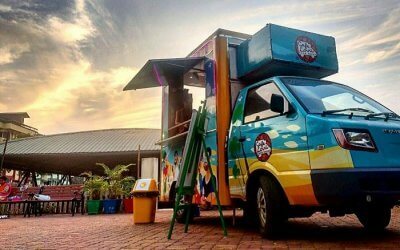 These 9 best places in Madurai offer truly take you back in time – to the good old days when life was simple. So if you’re planning a visit to this spiritual – historic city, do let us know about your experience in the comments section below.